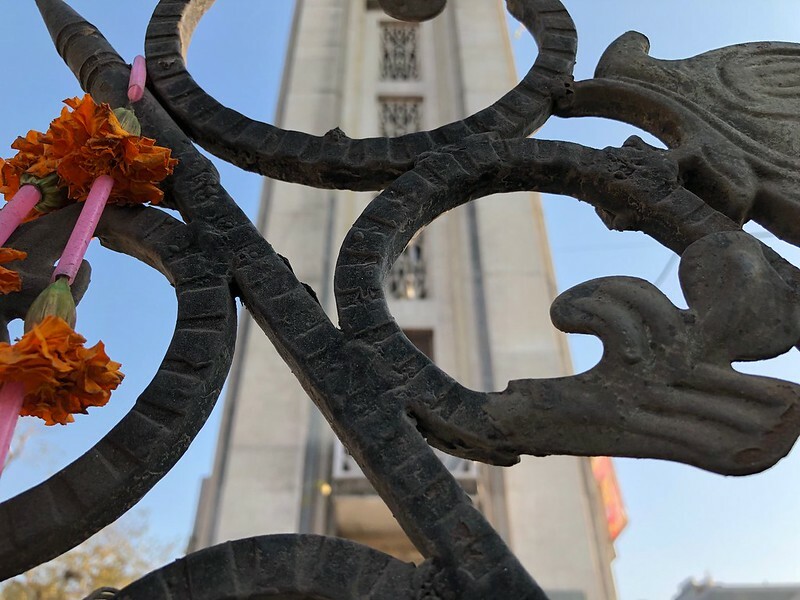 The very idea of a bell tower is a grand one. Every hour the bell tolls, and the good townspeople are briefly linked to one another. 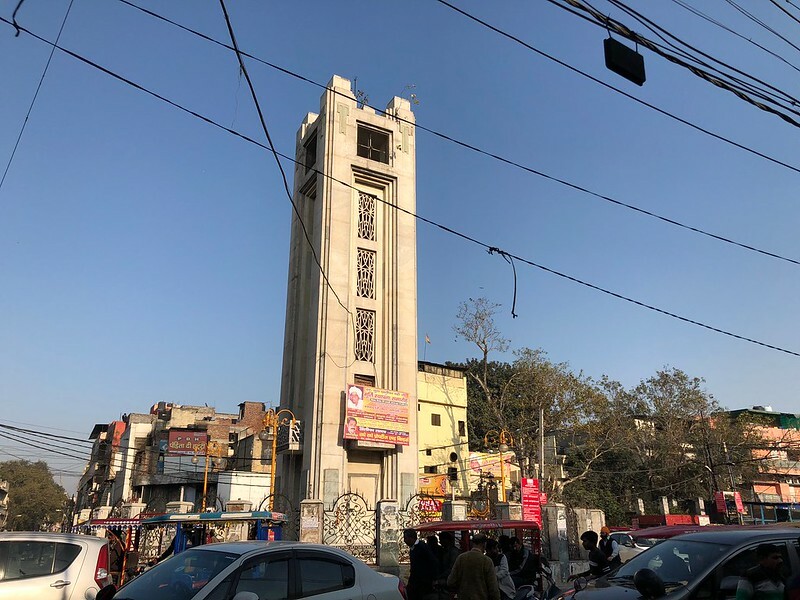 But take the bell tower at North Delhi’s Sabzi Mandi. Gazing upwards, you discover there’s no clock at all. It is as if it has been abandoned by the powers that be. The Delhi Walla talked about it with a rickshaw puller who merely shrugged. 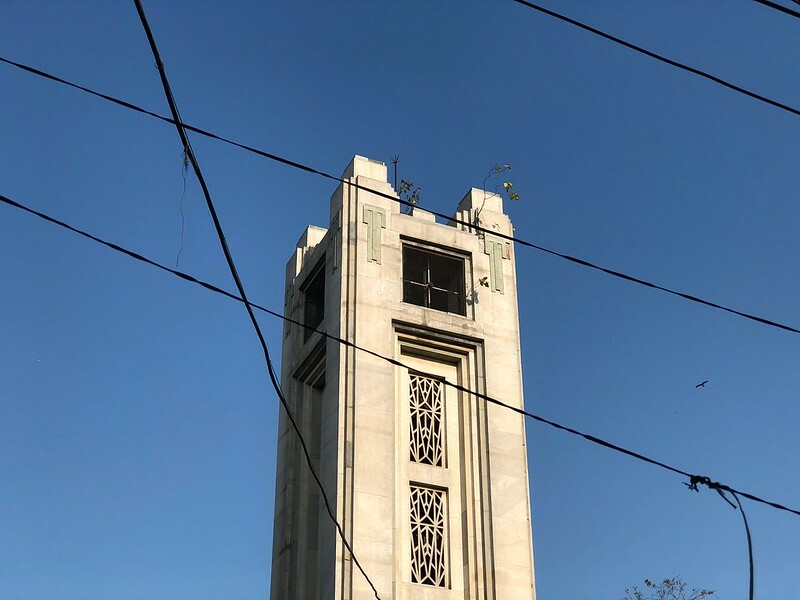 “It was removed 4-5 years ago,” he tells me, even as a huge wave of evening traffic swirls erratically around the tower. It looks as graceful and helpless as a queen without a palace. Across the road, a cluster of pavement businesses are hawking ear danglers. Shoppers mill about here and there, but nobody looks up at the tower. Why would they? 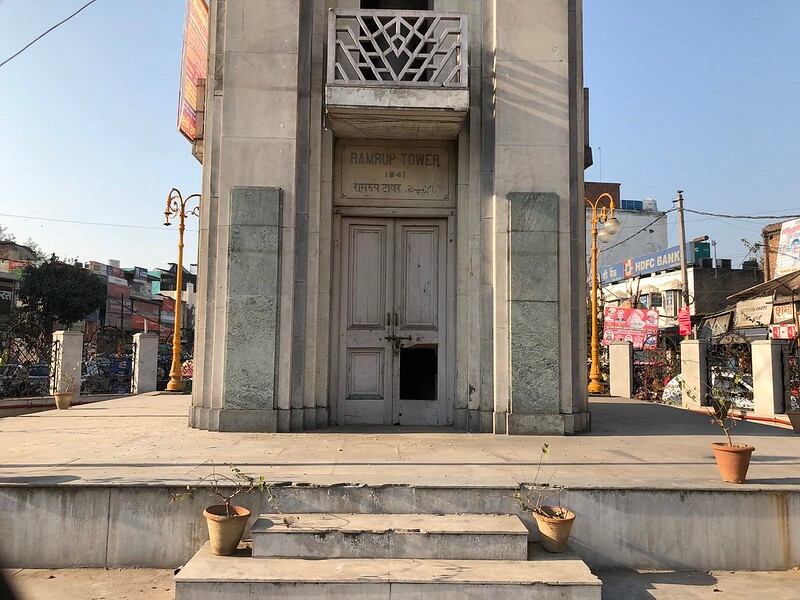 It’s looking so forlorn, the gate is padlocked, with a sign telling one and all that the tower was built in 1941, towards the end of the British Raj. 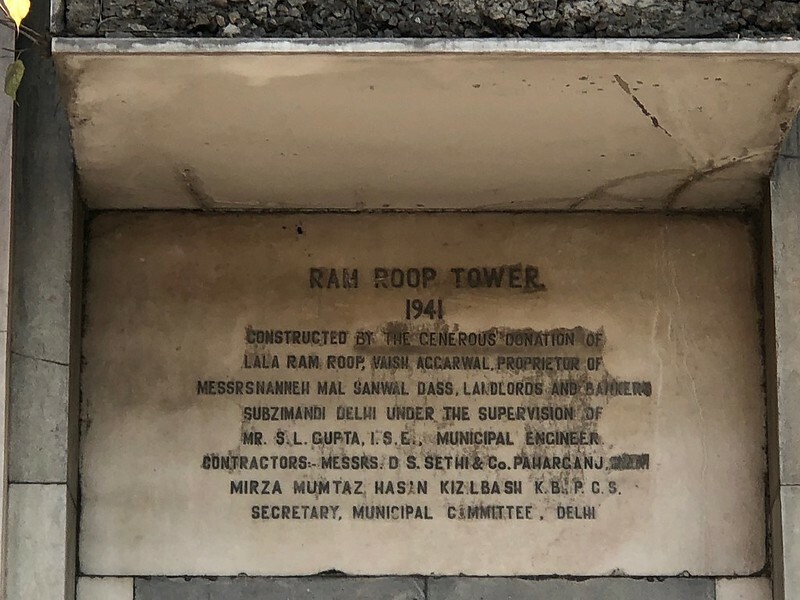 And that it’s called Ram Roop Tower. A few flower pots are arranged at the platform but they have no flowers. The door to the tower is broken. But what is at the top? 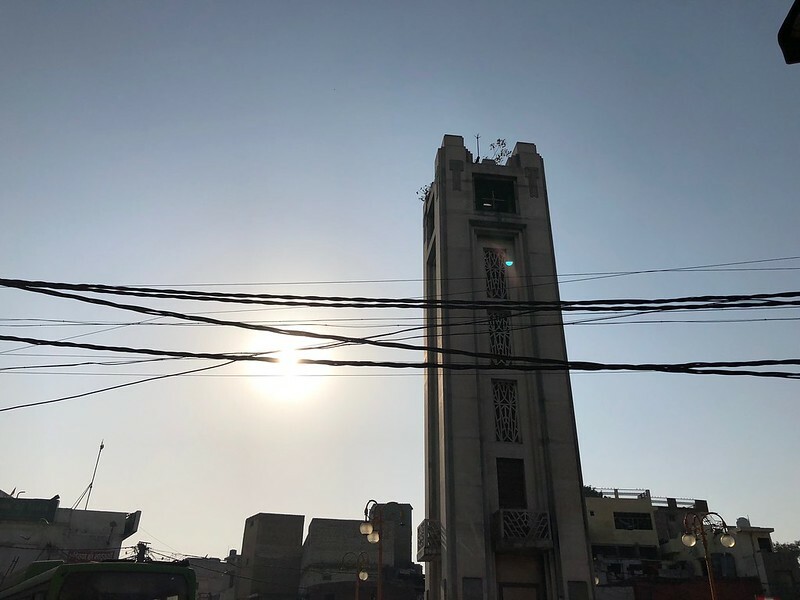 I spot slender plants growing up there, seemingly emerging from the concrete; a kind of silent assurance that the clock’s long gone but the tower itself isn’t entirely abandoned.